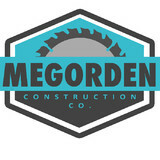 With quality workmanship and attention to detail, Megorden Construction is your number one stop for all of your construction needs. From concept to creation, we will help you design and build your outdoor living space with ease and comfort. Associated Construction continues a legacy of more than 80 years of building experience. Knowledge, commitment to excellence, and top-tier service have been passed down from great-grandfathers and grandfathers to great-uncles and uncles. Today, Associated Construction is headed up by Shane Downs, General Contractor, a life-long Santa Barbara native whose career has been based in construction and contracting his whole life. We’re proud to have a trusted team of foremen, carpenters, and vendors that we’ve been working with for many, many years helping us make our clients’ dreams a reality. Our reputation and list of satisfied clients attest to our superior craftsmanship, attention to detail, clear communication, honesty and integrity. We are a full-service building company with a wide range of experience in all phases of construction, serving Santa Barbara, Goleta, Montecito, and Goleta. We can help you with any construction project, from new home construction to remodeling an existing home. For information on services beyond home exteriors, please visit us at, www.associatedsb.com. Promoting pedestrian decking systems as a superior choice for your deck projects, whether they are for a roof deck or a deck off the kitchen, make your deck a solid surface waterproof and fire retardant deck! Check out the many decorative variations you can have with these fire retardant decking systems. No splinters, no yearly maintenance like wood, less expensive than composite and exotic hardwoods. Solid surface waterproof decks, like nothing else! What do you want your deck to look like? We Provide Affordable SunRooms, Patio Enclosures, Patio Covers, Windbreaks, Sales, Services, and Professional Installation throughout Arroyo Grande and Surrounding 5 Cities Areas Including Grover Beach, Oceano, Pismo Beach, Nipomo and Santa Maria. Locally owned and operated since 2011. As a Santa Barbara native, Steve Lastra is proud to work in the Santa Barbara community as a small business owner and he values his customers, not only as customers but also as neighbors. With more than 25 years of experience in our local community, we know the importance of doing quality work with integrity and top of the line products. We look forward to working with you to design exactly what you have in mind for your home or business. Mr.Build Ace Awning, Inc. has been serving Southern California for over 44 years. 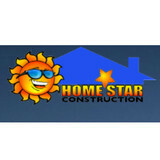 We are a general contractor and family owned and operated all those years. We attribute our longevity, a rarity in the home improvement industry, to an unrelenting devotion to customer satisfaction and completing each project with professional expertise and a stand-behind warranty. We remain an industry leader by focusing on our customer's needs. Since 1969, our family has been helping satisfied customers fulfill their outdoor living space by offering the personal attention they deserve and the professional expertise they need to complete their project. Ace Awning provides expert design consultation, staff members that will secure all mandatory permits, experienced installation staff and a stand-behind warranty that covers all complete projects. We bring over 45 years of quality craftsmanship in deck building, woodwork, painting, outdoor lighting, decks, fences, pergolas, arbors, out door living areas, and more. Our services might be varied, but they all come with the same promise of quality, dedication, and durability. We are licensed and insured carrying both a B General Contractors license and a C-27 Landscape Contractors license. We are experienced contractor's with knowledge passed down from generations. I can offer a 1-year guarantee for all my services, along with free estimates"
What services do deck and patio builders in Mission Canyon, CA provide? To help you choose the ideal style, configuration and materials for your deck or patio, your deck and patio contractor will survey your Mission Canyon, CA lot and your home to come up with a design that complements your exterior as well as being structurally sound. He or she will recommend sizes, heights and construction materials that suit your lifestyle and climate, as well as explain the best stain or finish options. Additionally, deck and patio professionals can provide insight into additional components such as outdoor kitchens, patio covers, fire pits, outdoor lighting, arbors and more. Your deck and patio professional might work closely with another Mission Canyon, CA lawn and landscape professional. Here are some related professionals and vendors to complement the work of conservatories & orangeries: . Find a deck and patio builder in Mission Canyon, CA on Houzz.